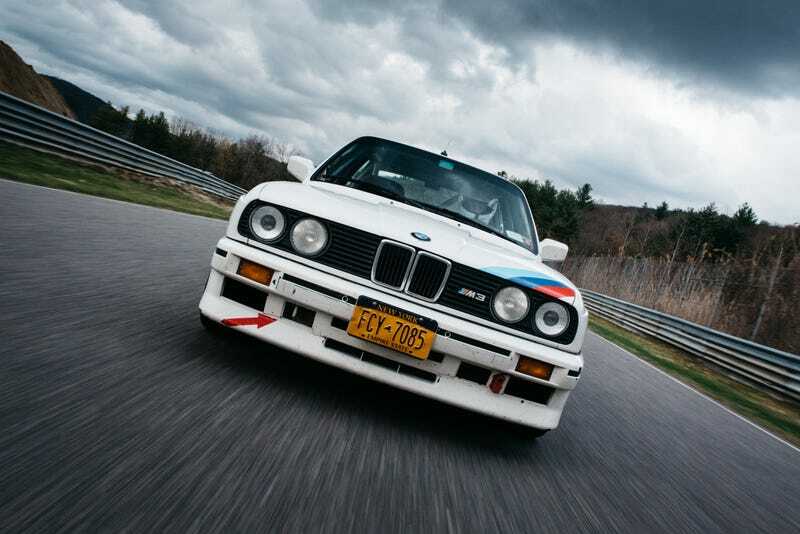 This weekend, the Jalopnik crew went to Lime Rock Park to test some cars on their track, including this BMW E30 M3. Renowned by serious gearheads as one of the best cars ever for drivers, this thing did not disappoint on the track. Keep your eyes out for more on this car in the future. Not pictured in this photo: Our staff photographer puppyknuckles hanging out the trunk of a Mustang to take the picture. Safety first at Jalopnik! Photo credits to puppyknuckles. Used with permission. Weekend Wallpapers are usually featured on Saturdays. Got one you’d like us to run? Send it to nicole.conlan@jalopnik.com with the subject “Weekend Wallpaper.” Just make sure you have the rights to use it.